When it comes to drinking beer I’m a real novice. Until recently even tasting the stuff was a challenge. Then my husband got into craft beer – described as a beer made in a traditional or non-mechanized way by a small brewery (thanks Google). It’s typically higher quality and better tasting than general run of the mill beer made by the big global brewing companies. Determined to acquire a beer palate I’ve been having a few sips of craft beer every time he opens a bottle, and it’s starting to taste good. In fact with Summer fast approaching you may even find me enjoying a cold beer on a hot day…..
That’s the beer bit of the story. Now for the onions. Onions are rich in prebiotics. Prebiotics are a non-digestible type of fibre found in certain foods. Simply explained probiotics introduce desirable bacteria into our intestines and prebiotics ‘feed’ the good bacteria so it can work hard to keep us healthy. Because onions are an easy way to get a fix of prebiotics I’m always on the hunt for new and interesting things to do with them. Hence this pickle. With my appreciation for craft beer growing this recipe caught my eye in a foodie magazine. Luckily my husband’s stash of craft beer included a bottle of the India Pale Ale recommended in the recipe. An hour or so later 1kg of brown onions had been turned into three medium jars of onion pickle. 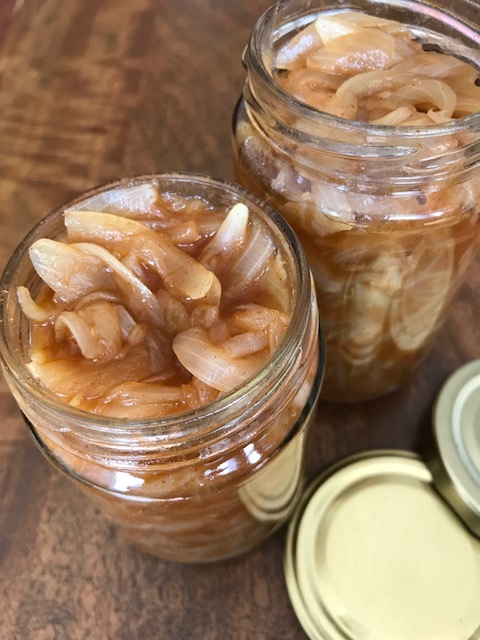 This recipe is super easy and features a triple boil technique that makes the end onions super soft. The only downside of this pickle is peeling and slicing way too many onions in one go. Watering eyes are inevitable – but worth it for the end result. 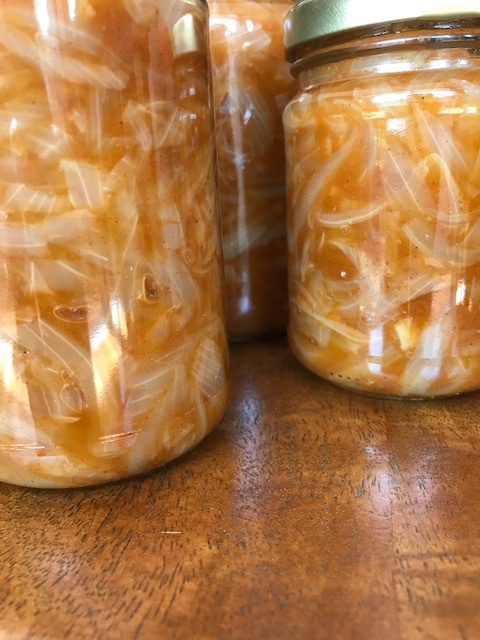 Luckily the magazine clipping I used has also been posted online so here’s a link to the full recipe – Craft Beer Onion Pickle. Don’t feel you need to follow the ingredients to the letter – for example I omitted the sugar and the butter – onions are sweet enough and I didn’t think 10g butter would truly impact the end result. Of course you could also experiment with spices other than paprika. 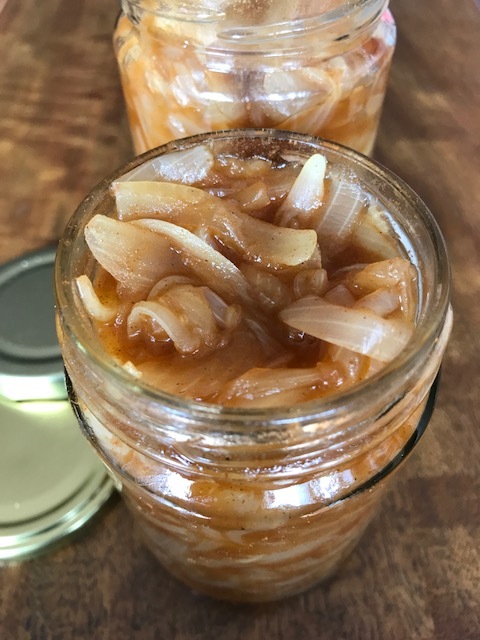 If you’re a fan of beer and onions then give this recipe a go – and please let me know what you would pair it with as my three jars now need an excuse to be used…. Tags: beer, onion, pickle, relish. Bookmark the permalink. Thanks Maria – you should definitely give this a go for your first pickle experiment – it’s super easy! ooo this looks so good! You could try with burgers? Great idea – it would work well as a relish on a hearty burger! Yum. Nope, you’ll never catch me drinking a beer on a cold day! Definitely for hot days at my house. Ha ha – never say never is my saying on most things – it will never be my drink of choice but I’m happy I can now drink say I can drink beer! I loved this post, Laura. You are so creative with your ideas! I must confess to also not being much of a beer drinker but I do love to use it in cooking. I love the idea of this in a burger – yum! Could you serve it with a Ploughman’s lunch with some cold cuts and sharp cheddar?? Thanks so much fellow Laura – let me know how you go!